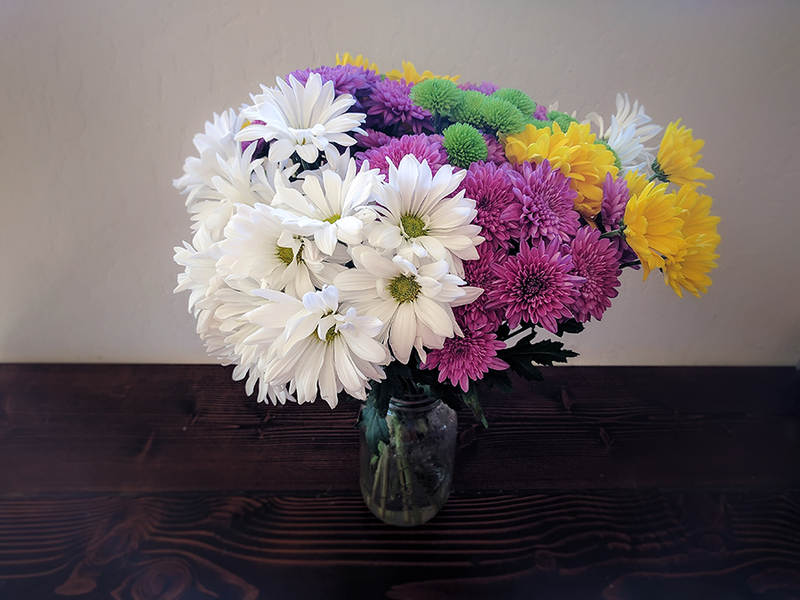 The other day I posted a photo of my Costco flower bouquet that I bought almost two weeks ago on my Instagram and I had a few people ask me how I keep my store-bought flowers alive and healthy for 12-16 days. I'm no pro, but I can share what I do know! Hopefully it helps you, too, because there is just something so refreshing about having fresh flowers in the home! I will tell you that I owe almost all of my knowledge to my friend Laura - she is the one that gave me almost all of these pointers! 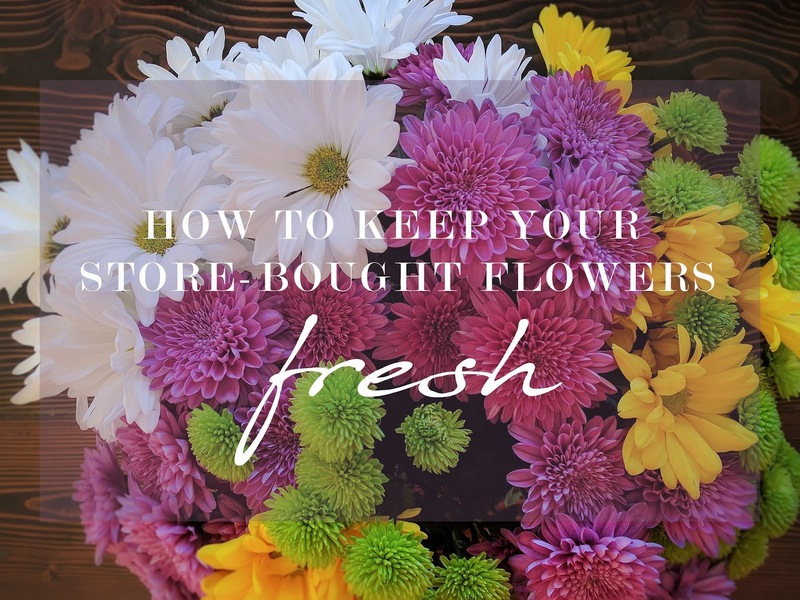 So, without further ado, here is how to keep your store-bought flowers fresh. 1. Choose a vase/mason jar/container for your flowers. Fill it up with approx. 1- 1.5 inches of room-temperature water. 2. Add about 1/4 of the packet of flower food that came with your flowers to the water and swirl it around until it dissolves. DO NOT dump the entire packet of flower food into the water! That's a total waste. 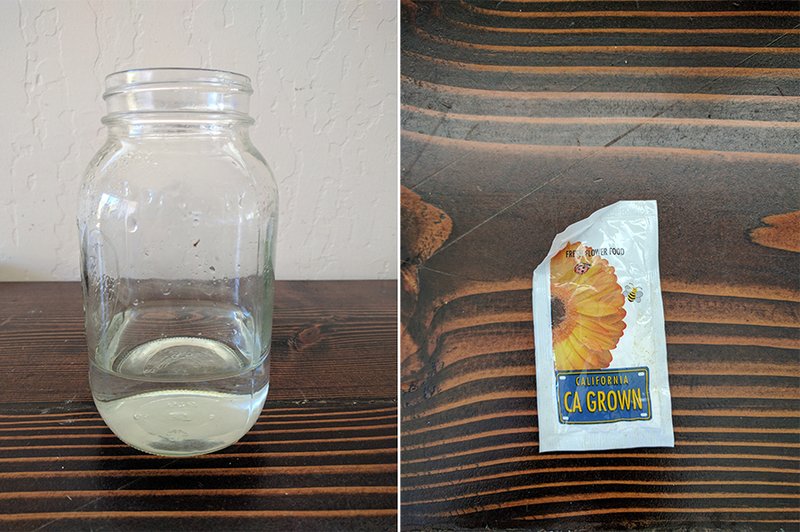 The ratio for the plant food is actually one packet to one liter of water, so a little bit goes a long way! 3. 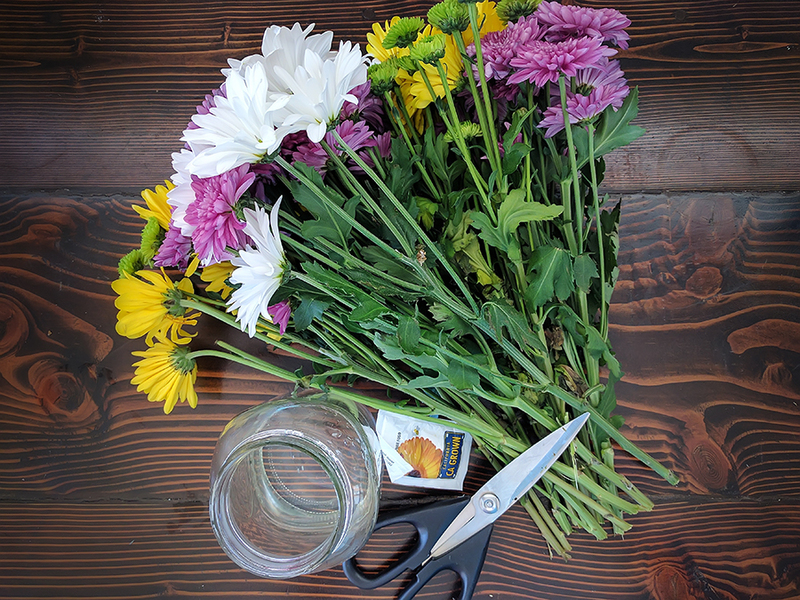 Take a sharp pair of scissors and trim about 1/4 inch from the bottom of your flowers. Make sure you trim at a diagonal. 4. Arrange your flowers and enjoy! You will notice that the flowers drink up the water fairly quickly. You should be doing the above 4 steps every 3-4 days, or as you notice the water is almost gone. If you notice the water is getting low and forget to change it, it's okay! Your flowers will start to droop, but they can usually be saved! Just do the above steps as soon as possible. Every flower has a different "life-span." I've noticed that peonies and roses are exceptionally difficult to keep alive past 8-10 days. This method doesn't guarantee that every flower will stay alive for 2-3 weeks, but it does make your flowers last longer than they would otherwise. omg! I finally found your blog again!